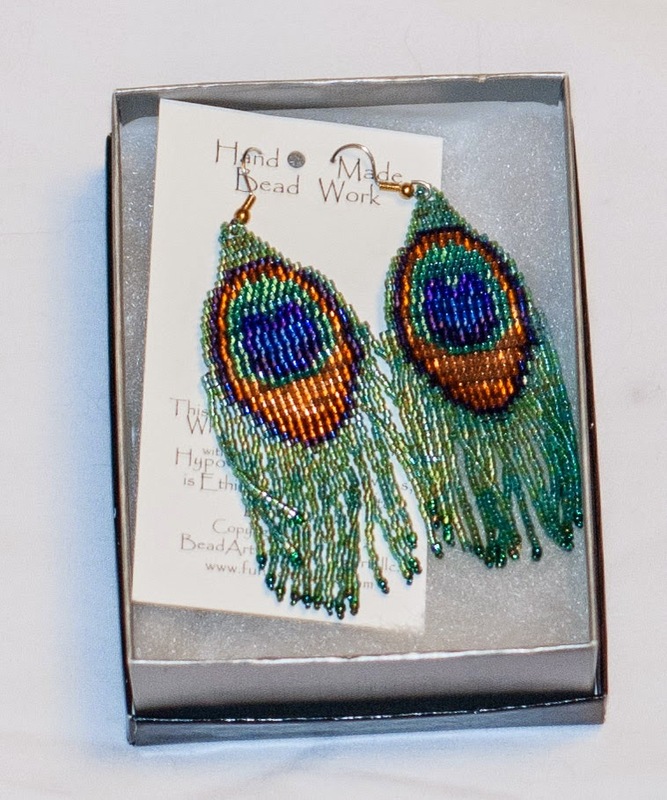 Andreas' parents gave me these beautiful peacock beaded earrings for Christmas. I love them. You lucky girl. They are beautiful!!! Very nice -- I do love feathers as a jewelry theme, and those are particularly marvelous.